Publishers Penguin and FSG organized a promotion plan of several months in order to launch this novel in twenty countries. The translation of three other books by the author is planned. All major English newspapers published on “Decoded” (1) but what is presented as an espionage novel is actually not a “thriller” but a biography of a cryptography genius and a fascinating analysis of the fragile border between genius and insanity. The author was born 50 years ago near Hangzhou in a family with political problems: grandfathers, one a rich landowner, the other one a Christian and a father who had been designated as a rightist (the quota had to be be filled !). He is isolated, humiliated at school and takes refuge in writing his journal. He joined the army in 1983, graduated from the Military Engineering Institute as a specialist in telecommunications; he will spend nearly a year in a department of cryptography. In 1991, he completed the Institute of Fine Arts and began writing propaganda articles. 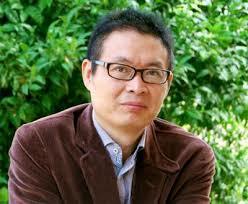 He left the army in 1997 and worked as a writer for the television in Chengdu. Writing “Decoded” will be long and painful. Also finding a publisher and negotiating with the censorship, fearing the publication of state secrets, was very difficult. The book was finally published in 2002 and quickly became a great success. It was not until 2010 that the novel is noticed by the translator Olivia Milburn whose grandfather was a cryptographer. It should be noted the increasing role of literary agents in spreading Chinese literature especially in the English speaking world. Gray Tan and the Grayhawk Agency in Taipei signed with leading publishers, negotiated very high levels of royalties (15%) and an advance of $ 100,000 for “In the Dark.” The rights of “Decoded” were sold in twenty countries including France with the publisher Robert Laffont. 2 / Rong Jinzhen, how does one become a genius? Rong Jinzhen, our hero, shows surprising talent for mathematics as his aunt Master Zhong, a professor at the university. Within days, he absorbs the university program but has no relationship with his fellow students. He drew the attention of a famous professor, Jan Liseiwicz, a Polish aristocrat who wanted to work with him on artificial intelligence. A member of the Rhong family, Young Lilie, obtained subsidies to establish a research lab on computers and then recruits Jinzhen. But in June 1956, to everyone’s surprise, he left the university to join a strange character, Zheng the Gimp, forcing Young Lilie to release Jinzhen from his responsibilities with the university. Where were they going, nobody knows, as it was a State secret, so as the further developments of Jinzhen’s life. Later we learn that the unit 701 is a center for cryptography where Jinzhen will spend the rest of his life. The book is cleverly organized, very sophisticated; it stands as a biographical inquiry into the character of Jinzhen using many interviews of people who knew him. The multiplicity of viewpoints and narrators brings the reader close to Jinzhen, to his personality, his isolation. Similarly, we seem to understand what cryptography is, its history, importance and constraints are presented to us. The book deals with post war cryptography and not the current cyber battles but the importance in terms of military security is quite comparable. The novel is very well written unlike many espionage novels. It is read with pleasure, but it’s not a “thriller” because there is little action and no violent action. Espionage certainly plays its part with the maneuvers and letters by Professor Liseiwicz or with the theft of Jinzhen’s notebook in a train. Violence is mostly psychological and affects Jinzhen oppressed by the secret organized in unit 701. 3 / Cryptography: genius and madness. As Yan Shi, one of his colleagues said: “Genius and madness are two sides of the same coin… Actually developing ciphers is a sort of madman’s work, it pulls you close to insanity and to genius … In terms of composition, genius and insanity are made ​​from the same stuff “(p.271). The golden rule is that you can either create or break codes, you have to choose. Similarly after breaking a code, you should not work on its successor. It is this rule that Jinzhen did not observe, he paid dearly. His talent in the interpretation of dreams, helped him in his work as a cryptographer, but “his deliberate excessiveness, however, only resulted in bringing him on the verge of mental collapse” (p.195). A genius is fragile and can, once weakened, collapse completely; “genius is easily broken … this fragility is what makes a genius a genius. It is what allows them to transcend all limits, to become even more refined … but to be unable to bear any knock “(p.202). It’s a job that turns you crazy because of the concentration and obsession it requires. Furthermore, it is a life turned to the inside, where there is very little exchange with colleagues. There are even more limited by the need for secrecy with the very strict control and the fear it creates. Is unit 701 really in China; nothing of the political movements of the time affects it. However, it provided the opportunity for Jinzhen to defend Master Rhong during the Cultural Revolution. Control by the Party is very heavy; it guarantees to members of the 701 unit comfortable living conditions and strong protection but in a secrecy which includes everything even married life. This is presented as inevitable by the author who does not think this is specific to China. This justification brings some nationalist paragraphs. That said, nobody sings the praises of the Party; the author stresses the will and genius of individuals. It is not the Party or its inspiration that break the codes! The author has a realistic and pessimistic view: this war will continue and become increasingly sophisticated. Episodes such as Snowden may lead to an extension of the use of cryptography, but as Mai Jia mentions, this is an endless war that nobody can win and which destroys beautiful intelligences that perhaps could have been be better used elsewhere. 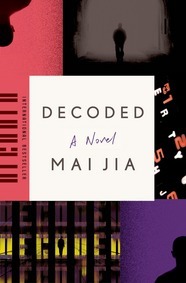 (1) Mai Jia, “Decoded”, translated from Chinese by Olivia Milburn and Christopher Payne. Ferrar, Straus and Giroux, New York. 2014, 315 pages.